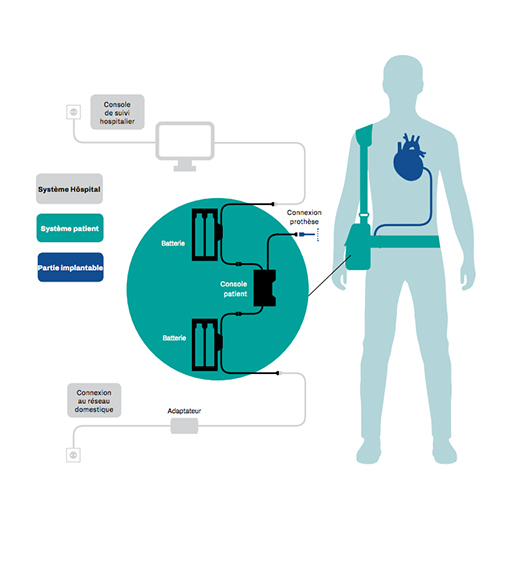 CARMAT (FR0010907956, ALCAR), the designer and developer of the world’s most advanced total artificial heart project, aiming to provide a therapeutic alternative for people suffering from end-stage biventricular heart failure, today announced the cooptation of Jean-Pierre Garnier to the Company’s Board of Directors, replacing former Chairman, Jean-Claude Cadudal, who stood down, for the remaining duration of the latter’s mandate, and his appointment as Chairman of the Board. Scientist and business leader, Jean-Pierre Garnier graduated from Louis Pasteur University (PhD in Pharmacology) and Stanford University (Master in Business Administration). He started his career in 1975 at the pharmaceutical company Schering-Plough where he held a number of management positions in Europe before becoming President of their American division. In 1990, he joined Smithkline Beecham Laboratories as President of the Pharmaceuticals Division and became President and CEO in 1999. In 2000, Jean-Pierre Garnier achieved the merge of two of the largest pharmaceutical groups (Smithkline Beecham and Glaxo Wellcome), to create GlaxoSmithKline (GSK), which he chaired until 2008. Jean-Pierre Garnier is currently a member of the Board of Directors of several biotechnology companies; President of Idorsia, Director of Radius Health. He is also a member of the Board of United Technology (Aeronautics) and a Director of the Paul Newman Foundation. From 2011, Jean-Pierre Garnier was Chairman of Actelion (Biotechnology) until its acquisition by Johnson and Johnson in 2017. The Best Practice Institute has nominated Jean-Pierre Garnier as one of the world’s top 20 CEOs. He is an Officier de la Légion d’Honneur (Officer of the Legion of Honour) and Knight Commander of the Order of the British Empire.